A mortgage rate lock is a prominent part of the home loan process because it secures the interest rate and protects the rate from market changes. The Mortgage Mark Team wants you to have the best mortgage interest rate and we’ll guide you in the mortgage rate lock process. If you’re building a brand new home you need to read this page AND our page about locking new construction rates. What does lock mean? A mortgage rate lock does “lock” the interest rate and protects it from market changes. If a rate is not locked then it is “floating” and is subject to change. A mortgage rate lock secures an interest rate for a home loan and freezes it from future market movements. For example: if an interest of X% gets locked and afterward the rates increase, the mortgage rate lock protects the rate from changing and keeps it at X%. Conversely, the market could get better after locking and as a result interest rates fall below X%. Unfortunately, the mortgage rate lock keeps the interest rate at X%. Our recommendation is that if you’re happy with the rate quoted, lock it and don’t look back. If you’re happy with the rate quoted then lock it and don’t look back. A mortgage rate lock is finite and has an expiration date. An interest rate lock is typically good for 30 days and it’s free to lock an interest rate. Most lenders do not charge a mortgage rate lock fee for locking the rate. Note: if you’re doing an longer lock period – such as 120 days or more – then there may be money required upfront before locking. For purchase loans, an executed contract generally triggers the time to lock the rate. For refinance loans, a mortgage rate lock is typically done once all supporting documents have been provided and a refinance appraisal is ordered. Mortgage interest rates change daily. In fact, they can change throughout the day depending on the market’s volatility. Now get ready to have your mind blown! The truth is that rates DON’T EVER change. What changes is the amount of money required to get the original rate. For example, let’s assume today’s rate is X%. Then the market gets worse and rates “go up” half a percent to X.5%. What really happened is that the original rate of X% now costs mortgage points. There is an indirect correlation between your home loan interest rate and the amount of you pay and/or the credit you receive with your closing costs. Points paid at closing lower the interest rate. By contrast, a lender credit can result in a higher interest rate but it lowers the costs to close. The majority of homes loans are priced with zero mortgage points and zero lender credit so that the interest rate doesn’t have additional costs. That’s why rates “change”. To keep the closing cost structure the same (i.e. zero points paid) the interest rate increased more than the original X% when the market gets worse. Your mortgage interest rate is a product of the Mortgage Backed Security (MBS) market and YOU! Mortgage Backed Securities act like bonds; supply and demand determine the price and yield. Global events and other financial markets (like the stock market) impact the value of the MBS market. A common misnomer is that home loan interest rates are based off the 10-Year Treasury Note. This is inaccurate. While there is a strong and direct correlation between the two, home loan rates are not determined by the treasury. Furthermore, when the Federal Reserve changes the Fed Fund Rate, that too does not directly determine mortgage interest rates. Certainly a change in monetary policy has a significant influence on long-term home loan interest rates but it’s not immediate. The only home loan rates with a direct impact from the Fed’s actions are for home equities line of credit (HELOC) and adjustable rate mortgages (ARMs). Fixed rate mortgage interest rates are a product of what investors will pay for the Mortgage Backed Security (MBS). You and your loan program also influence the rate. Different programs will have different adjustments and add-ons to the rate. For a real-life example, check out Fannie Mae’s loan level price adjustments (LLPAs). Their matrices show how different LTVs, credit scores, loan purposes, etc. influence the rate. Loans with Waived Escrows could even have higher rates due to the 25 basis point LLPA from Fannie and Freddie. FHA and VA rates will differ than those from Fannie and Freddie. Common questions are “when can I lock my interest?” and “what is the best day of the week to lock in mortgage rates?” First, there isn’t a “best” day to lock a rate. As mentioned above the market’s change daily due to global markets and international events. We most likely have a full loan application if you’ve submitted an online loan application and been pre-approved. An exception would be if the existing loan application is out of date. For example, if you were pre-qualified seven months ago then we’ll need to update the application to ensure it’s accurate and that you’re still pre-approved. 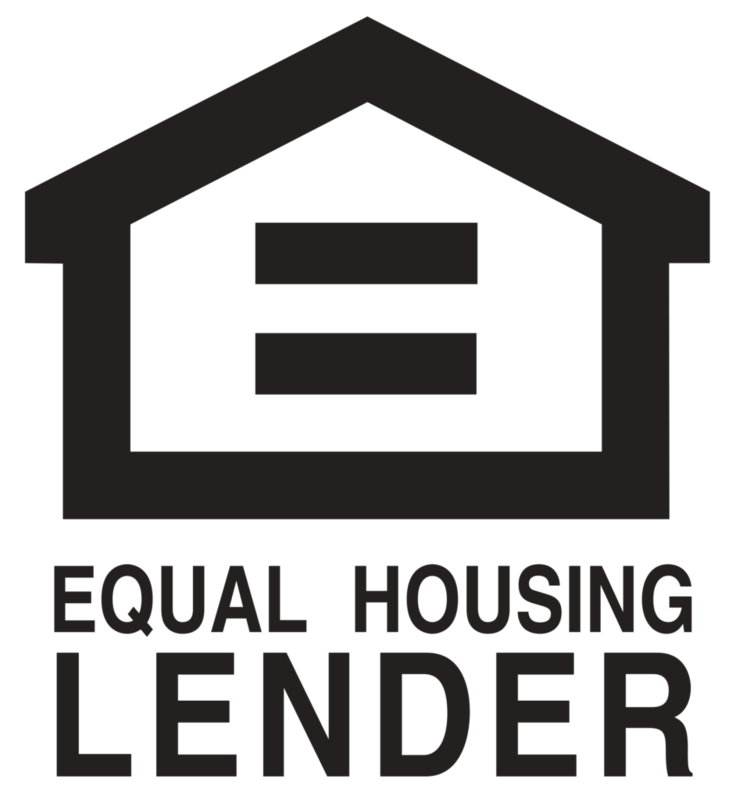 The Lender Disclosures are emailed to you by our disclosure department during the loan packaging process. You will need to return the e-signature documents and the “wet” signed docs for us to move forward and issue a mortgage rate lock. We should have most of the supporting documents if you’ve been pre-approved. We most likely will need updated time-sensitive documents like pay stubs, bank statements, etc. if the existing docs are older than 60 days. Because a mortgage rate lock has an expiration date we need to know how long to make the lock duration. For purchases, the purchase contract typically determines the closing date. There are a few exceptions to when a contract won’t have a definitive closing date. Some examples would be if the contract is contingent on the sale of another home, a short sale, or for new construction. Be sure to learn more about locking new construction rates if you’re doing a construction loan. FYI, for reading this article we’re happy to give you a $25 credit at closing. We’ve found that informed clients have better closings. Please email us with the subject line “Tommy loves pineapples!” and we’ll make sure you get the money. Seriously. For refinance loans the closing date can be determined once all documents have been provided to the lender AND the refinance appraisal has been scheduled. Once the aforementioned items have been provided we can do a mortgage rate lock. We ask that you email MortgageMark@HomeBridge.com instructing us to lock the interest rate so as to protect everyone from the “he said, she said” about something so important. To lock in a mortgage rate we need you to send an email (before 4:00 pm CST) requesting us to lock the rate. Please copy everyone on the loan. The reason for this is because we don’t want one spouse telling us to execute a mortgage rate lock today, then tomorrow have the other spouse upset because they were left out of the process. The reason we ask that you email us before 4:00 pm CST to allow us enough time to lock before the end of business the day. Please call us if you have any questions as we’re here to help. How Will I Know the Rate is Locked? The disclosure team will send you updated disclosures showing the terms of the rate lock agreement. Likewise, the Mortgage Mark Team will also provide a lock confirmation email with an updated Loan Summary worksheet to outline the payment and closing costs. Does Lock My Rate Mean My Loan is Approved? No. Locking your rate has nothing to do with your approval. Check out the mortgage loan process for details on the approval process. A typical mortgage rate lock is good for 30 days. Typical lock periods are for 15, 30, 45, 60, 75, 90, or 120 days. The longer the lock period, the higher the rate. For some programs, we can lock a rate as far out as 360 days. Doing locks beyond 120 days will most likely require money due in advance of closing. A lock extension fee may be charged if a mortgage rate lock expires before closing. Often times the fee is 12.5 basis points for 7 days and 25 basis points for 15 days. (Note: 12.5 basis points on a $100,000 loan amount is a $125 fee). Sometimes we can get two to three days at no cost. Can I Change My Rate After Locking? Yes, if time allows. When a mortgage rate lock is issued the loan is being locked on that day’s pricing, not the actual rate. Meaning the rate can be changed. For example, let’s assume you locked an interest rate last week with no points. Now you decide that you do want to buy-down the rate and pay mortgage points as part of the closing costs. This is absolutely permissible SO LONG AS closing is more than a week away and/or your loan hasn’t been submitted for final underwriting approval. We need to ensure there’s enough time for the Underwriter, the Closer, and the title company to prepare the loan for closing. Changing the loan terms requires the loan to be resubmitted for final underwriting approval and opens up the possibility for additional underwriting conditions. Can I Change Programs or Loan Terms? Depends. As mentioned above you can change the rate and costs structure after locking. Typically you can also change the loan amount and/or the down payment amount. What you can’t change is the program type. In other words, you can go from a conventional loan to an FHA loan. The mortgage rate lock will be forfeited if you change program types. Likewise, if you decide to go from a 30 year to a 15 year loan, the mortgage rate lock will be negated. No. It’s impossible to cover all the possible scenarios. This page is a very, very good outline and mostly accurate. As always, call us with questions and we’ll be happy to help.